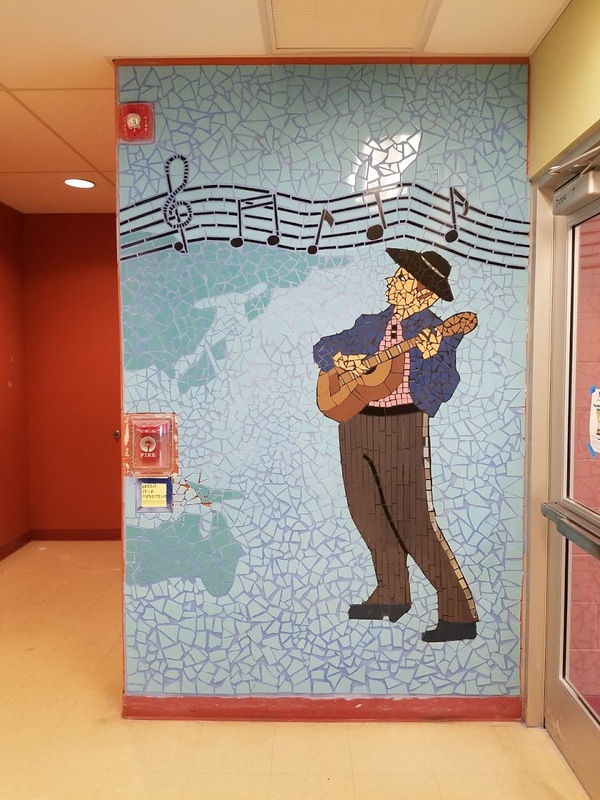 Description: The students at Stevenson Elementary completed a music-themed mural that blends music staffs, musicians, and dancers from around the world. 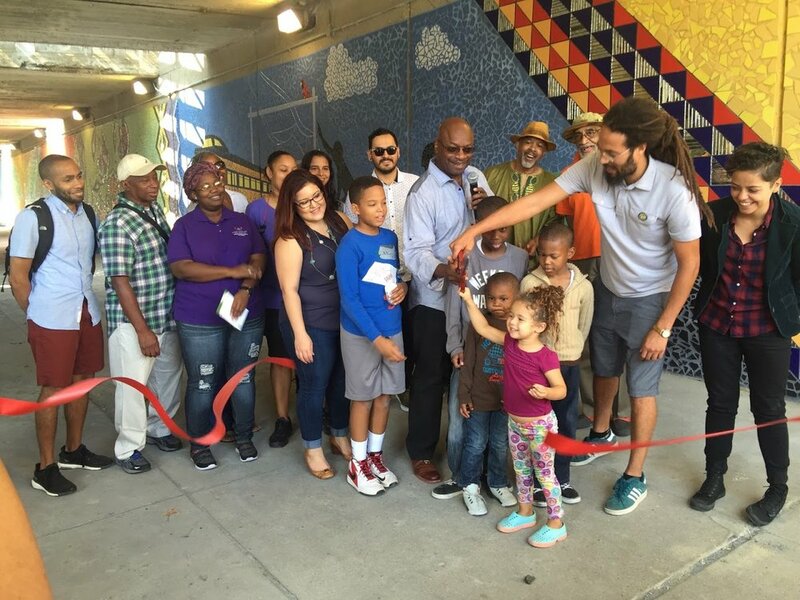 Description: GSM worked with youth from Woodlawn community groups plus hundred of volunteers from throughout the city to transform this space. 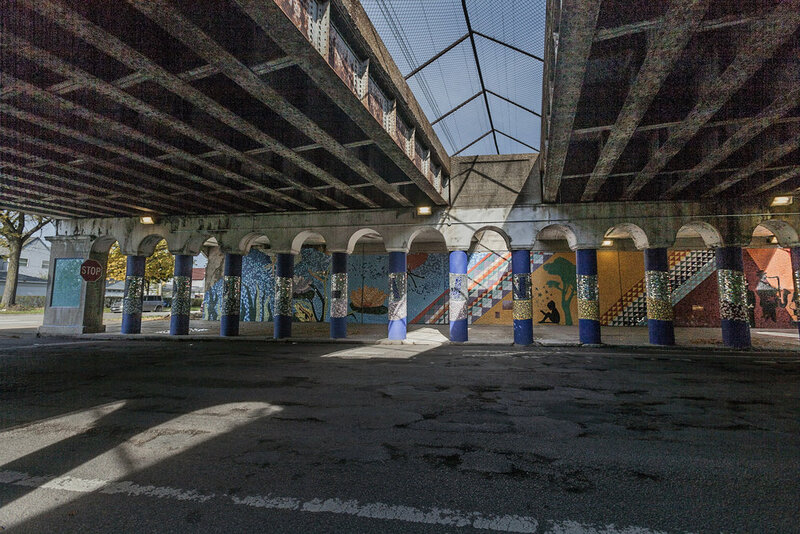 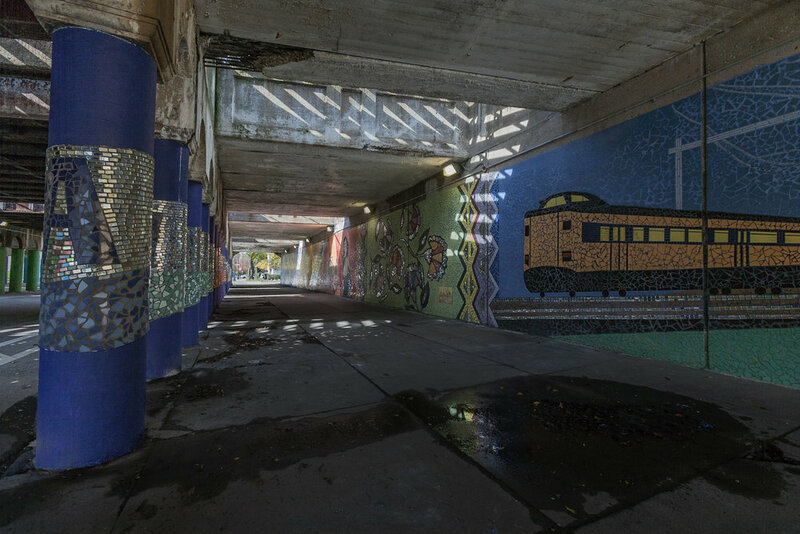 Spanning the length of a Metra underpass in the center of Woodlawn, this gateway mural incorporates musical imagery that reflects the community's jazz legacy as well as floral motifs that represent the Woodlawn Botanical Garden. 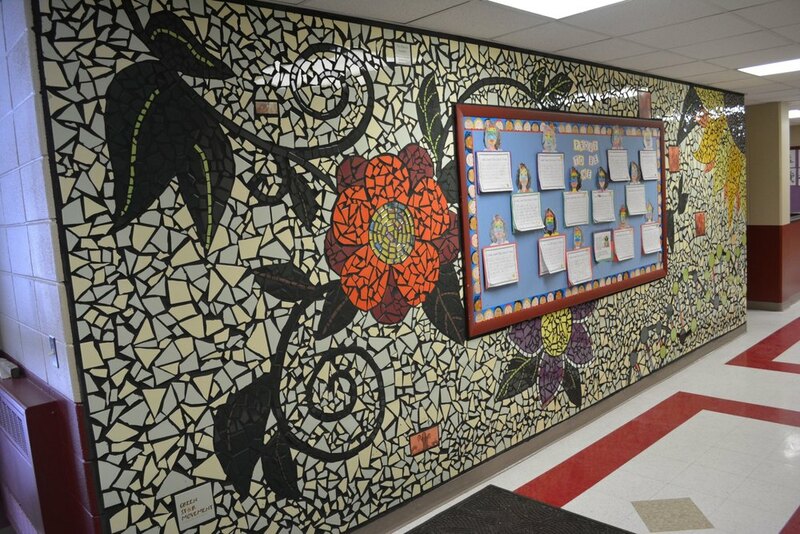 This project was featured on NBC's Making a Difference segment in August 2016! 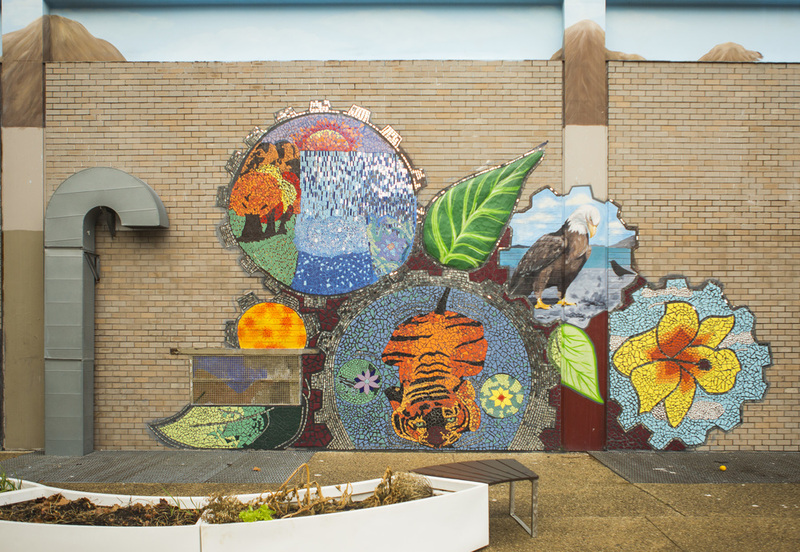 Description: Over several years, GSM completed many murals at Farragut, including the front entrance, interior courtyard, and school library with themes ranging from city life to the solar system. 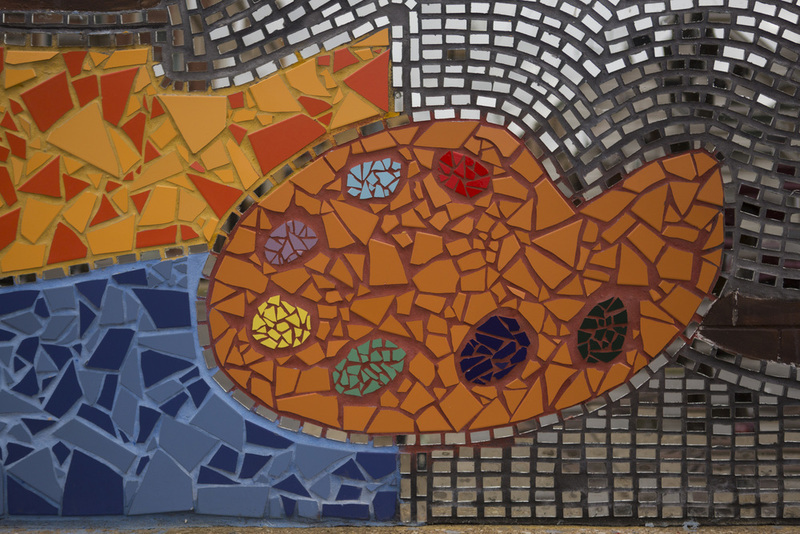 Description: The finely-detailed mosaics of Talcott incorporate traditional fine arts images and feature piano keys morphing into serpents along the front entrance. 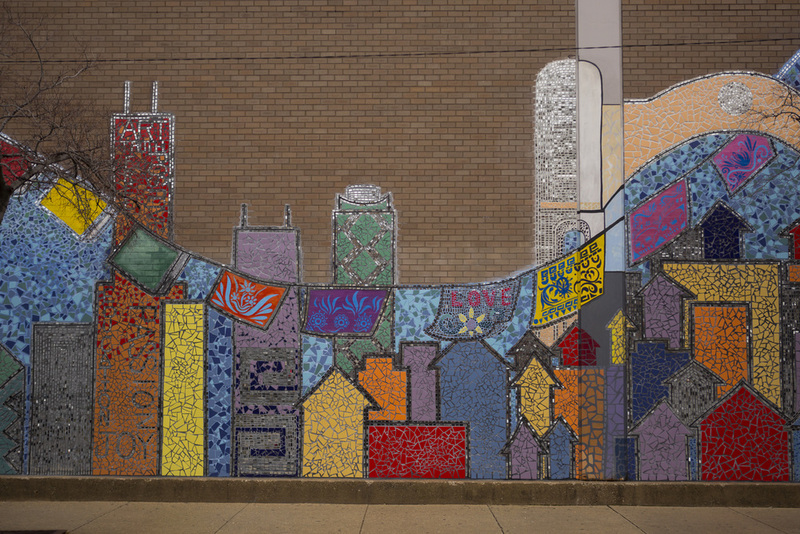 Description: Several murals were created at this school and are located near the office and theatre building, combining elements from across curricula including a DNA double helix, ruler, flowers, and comedy and tragedy masks.